Home Differences What is the difference between Journal Entry and Journal Posting? Journal entry is recorded in a journal which is also known as the primary book of accounts, this is where all transactions are recorded for the first time in a progressive order. The words are often used around each other, however, there is a difference between journal entry and journal posting. Journal posting is done inside a ledger which is also known as the principal book of accounts, this is where all ledger accounts are maintained. 1. The act of recording a financial event in a journal is called “journalising”, however, the entry recorded in the journal is called a “journal entry”. It is a record of a transaction’s debit and credit aspect with the help of double entry bookkeeping system. 2. One of the main difference between journal entry and journal posting is “timing”, the journal entry is the next step to preparing vouchers, it immediately precedes journal posting. There are two types of journal entries, simple journal entry and compound journal entry. 1. The act of transferring a journal entry into a ledger account is called journal posting. 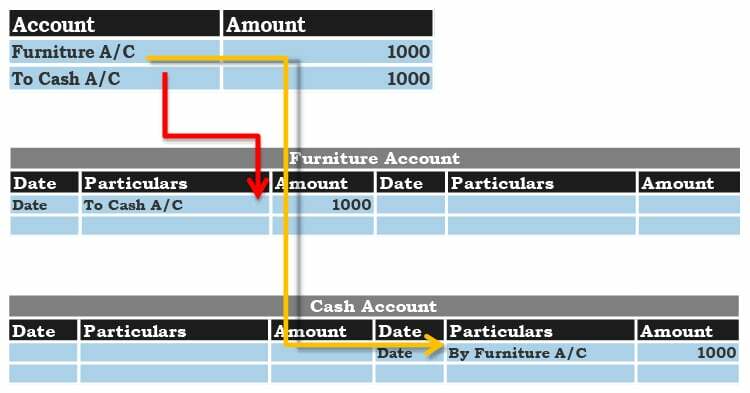 It includes transferring of debits and credits from journal book to the ledger accounts. 2. Journal posting is the next step to a journal entry, it precedes balancing the ledger. >Read What is the Accounting Cycle?